Gov. Peter Shumlin at a news conference Wednesday. Gov. 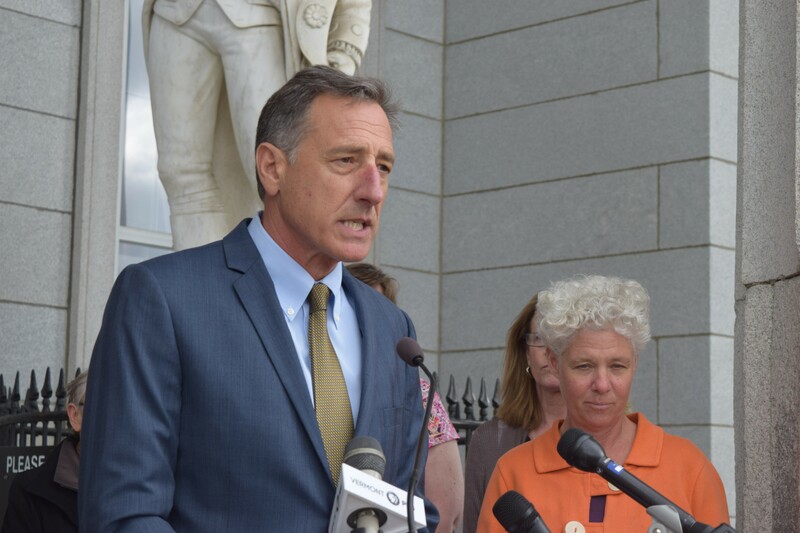 Peter Shumlin said Wednesday he's likely to sign a bill that would remove the philosophical exemption allowing parents to opt out of vaccinating their children. Shumlin, who has long argued against removing the exemption, said at a press conference, "I'm inclined to sign it." He conceded Wednesday that Vermont’s relatively low vaccination rate is not improving. "I'm sympathetic to the notion that we've got to move more quickly," he said. The measure passed the House on Tuesday by an 85-57 vote after a long debate in which many members said they were torn between wanting to prevent disease and supporting parental rights. Parents would still be able to opt out for religious or medical reasons. The Senate took a similar vote to remove the philosophical exemption last month and is expected to agree to changes the House made, which include delaying its implementation until July 2016. Wednesday afternoon, the House fended off an unusual effort to reconsider the previous day’s vote. But even many of those who voted to keep the exemption Tuesday had no appetite for continuing the debate Wednesday. 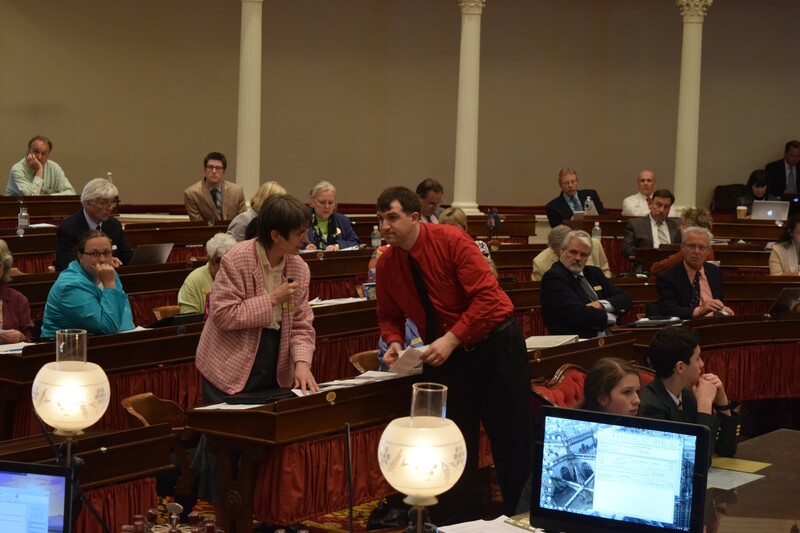 By a 114-28 vote, House members defeated a motion by Rep. Anne Donahue to reconsider a vote on a portion of the bill. Donahue hoped to add a provision allowing those who have already been granted a philosophical exemption to retain it for four years. Rep. Paul Dame (R-Essex Junction) worked with Donahue on the effort. He said supporters of the philosophical exemption had hoped to reconsider a different amendment offered Tuesday, which lost by just two votes, but they could not find anyone willing to make such a motion. Only those who voted on the prevailing side of a matter are permitted to make a motion to reconsider. “Nobody wanted to be the person to stand up and basically be the person blamed by the entire medical community for keeping a version of the exemption,” Dame said afterward. Some argued Wednesday’s wasn’t the sort of situation that warranted reconsideration. “It’s time to move on,” argued Rep. Paul Poirier (I-Barre). The majority agreed. Vote reconsiderations are unusual. “I don’t remember the last one,” said Rep. David Deen (D-Westminster), who follows procedural issues closely. In fact, there was one just last year, said assistant House clerk Bill Magill, but it wasn’t very memorable. In January 2014, the chamber agreed by a voice vote to reconsider an education bill in order to fix a drafting error.